He may have hosted The Generation Game, but for the ever-controversial Jim Davidson, speaking on ITV breakfast show Good Morning Britain, nappy-changing is where he draws the line. “There’s all stuff in there,” he informed a bemused Susanna Reid, “I’ll change one if they haven’t gone”. With five marriages and five children under his belt, Davidson has had plenty of opportunity to practise parental procedure, and has determined that nappy-changing simply is not for him. Should both the mum and dad share nitty-gritty parenting chores? Needless to say, the Twitterati were unimpressed. Several stay-at-home-dads expressed their derision underneath the video, calling Davidson “a man who can’t swallow his ego for his kids”. How is it even a question whether parenting chores should be shared? Jim Davidson - and indeed the #GMB programme - has clearly been sent from the Victorian age via a Jules Verne-esque time machine. “My views are for grown-ups,” Davidson retorted. I’m sure there’s lots of men like Jim Davidson who haven’t changed a nappy, equally plenty of woman who’ve never changed a car tyre. Honestly stop getting you’re knickers in a twist. If the Twittersphere was irked by one celebrity parent with an aversion to dirty nappies, two was almost more than some could bear. Why are #JimDavidson & #russellbrand proud to be part time Dads! How on earth can you bond with your child if you dont get involved in everything they bring to the world, and that includes dirty nappies! I worry about being a bang-average parent at times, so it's very reassuring knowing that I'm nothing like Russell Brand and Jim Davidson. 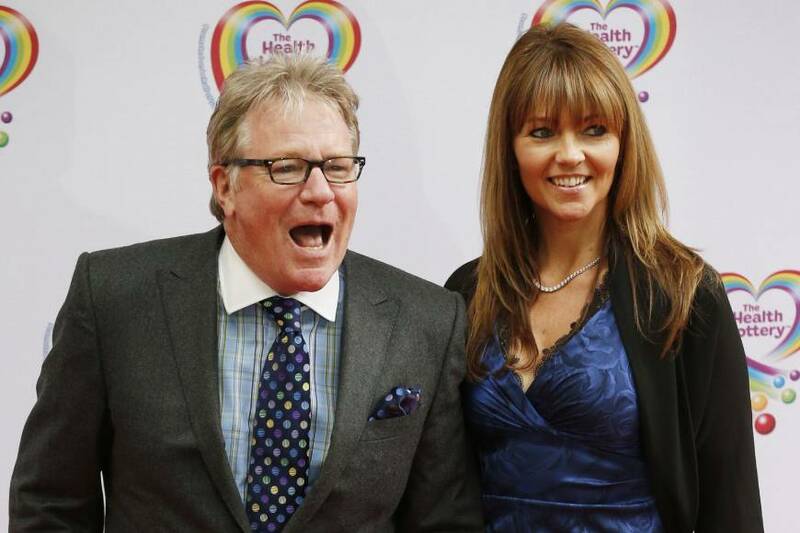 I find it hard to believe that Jim Davidson has never changed a nappy. I thought that's where he found his material.